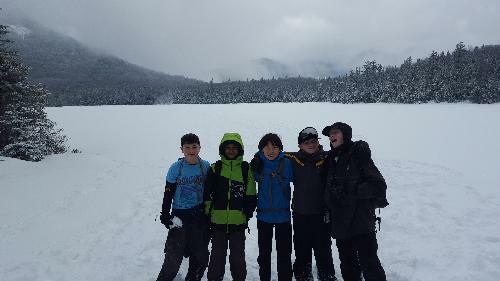 Several members of Troop 3 traveled to Lincoln, NH on Saturday, 20 February to hike up to Lonesome Lake. Although their was almost a foot of snow on the ground, the trail was packed and the spirits were high. 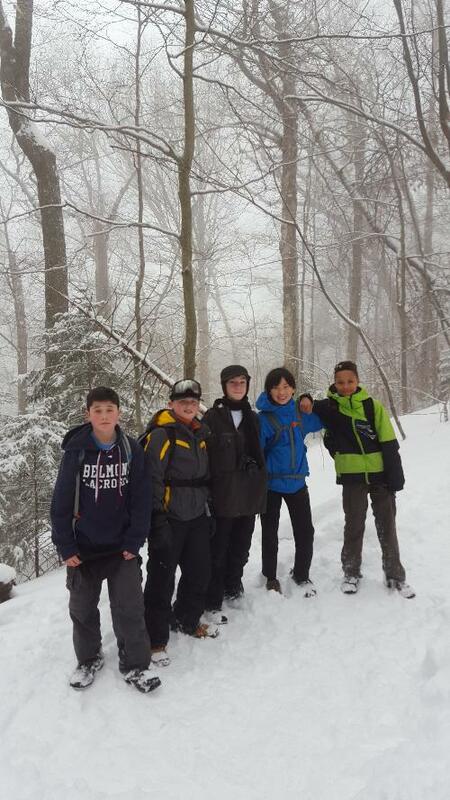 Cam, Angelo, Michael and Alek hiked over 1000' vertical feet to the Appalachian Mountain Clubs' Lonesome Lake Hut. The lake was frozen and the boys slid, stumbled and rolled all the way across. After lunch at the hut, they made record time back down the trail. 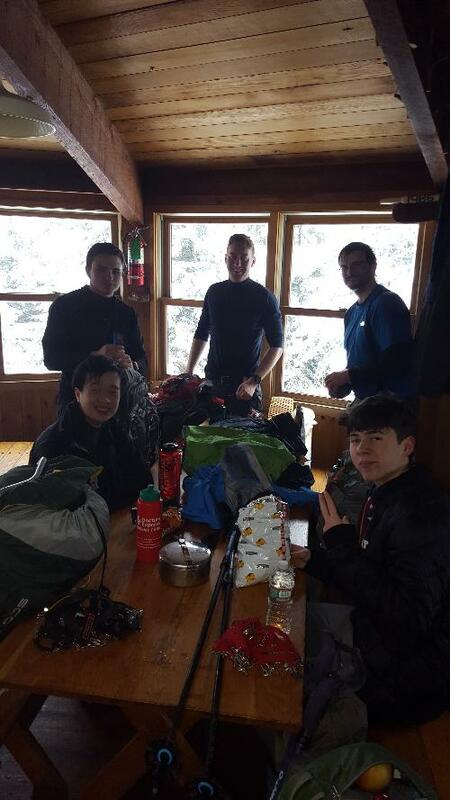 A highlight of the day was running into Tim, Joe, Justin and Adon at the hut as they made their way up to Kinsman Pond Shelter for the night before they proceeded on to the top of Cannon Mountain. Thanks to Cam's friend Milo for joining us for the day. 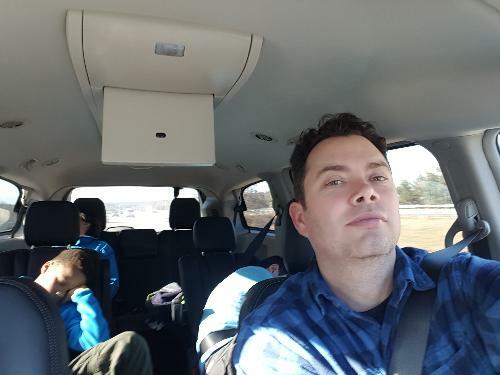 Photos below (l to r): Start of hike, At the lake, End of the day, and the older Scout on their lunch break. There will be rock climbing this weekend at February 6th. If you signed up, remember to come. On the weekend of 16 January, Troop 3 participated in the Sons of Liberty and Flintlock Districts Klondike Derby at Nobscot Scout Reservation in Sudbury, MA. The Klondike Derby is the premier winter camp event hosted by the districts. Over the course of the weekend, patrols were scored on various events with the totals then ranked to crown a 2016 Grand Klondike champion. Over 30 patrols representing 16 troops competed in 9 skills events including Orienteering, Log Saw, Firebuilding, A-Frame Building, Yukon Crossing, Tomahawk Throw, Log Pull, Tent Setup, and Frozen Lake Rescue. The patrols were also scored on a Trail-In Inspection, Campsite Inspection, Dessert Contest and the Klondike Sled Race. After all the scoring was in, Troop 3 won the Grand Klondike!! Congratulations to the entire troop who all worked very hard in preparation for the event. Are you coming to this week's meeting? This is Owen Chiu, leader of the Flaming Eagles patrol. Every week I need to know who can a can't come. so I am asking that every week you fill out this survey by Thursday moring. This year, Troop 3 Somerville decided to try a different summer camp. We went to Whatcutcha Scout Reservation. The trip was a new experience because you could actually choose what merit badges to take. They also had a water park, and the options of tubing and water skiing. Troop 3 also got the experience of having 2 other troops in the same campsite. "The view was amazing from the water", said Max Grosser, a First Class Scout from Troop 3. Some of the Cub scouts and Boy scouts attended the Veteran's ceremony this Friday. Troop 3 operates under the auspices of the Boston Minuteman Council of the Boy Scouts of America. The mission of the Boston Minuteman Council, Boy Scouts of America is to provide character development, citizenship training, growth in physical and mental fitness, and leadership opportunities for the young people of the Boston metropolitan area. We pride ourselves on the diversity of our members, and we are committed to providing young people with an educational and stimulating environment in which to learn and grow. Through the Scout Oath and Law, we pledge to respect all people and to defend the rights of others. Bias, intolerance and unlawful discrimination are unacceptable within the ranks of the Boston Minuteman Council.